Web Page Analyzer – Check your sites keyword density, link popularity and more with the web page analyzer. Improve your page from the results. Or if you already have a website why not see how well each page has been optimized. As you know there is a fine line between under optimization and over optimization, using the web page analyzer you will know exactly how well the page is optimised when you make your own website. 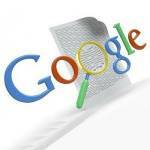 Check keyword density, link popularity, Google position and lots more. This is the help you need its like having a SEO expert telling you how to set up each page you build. When you plan the content of your page you need to know how many times you have your keywords in the content, how many single word keywords, two word keyword phrases and three word keyword phrases. Two many and you have over optimized to few and you are under optimized, so how do you get it right? with the web page analyzer. From the results you will be able to see how your page is optimized and improve it. Clicking on elements in the menu gives you more results your keyword phrase will be highlighted in yellow if you have it in the title tag, heading tags, in the URL, image alt tags, meta description tag, bold, italic, image file name, Li tags and comment tags. This will show you if you are under optimized as placing keywords in the above tags will tell search engines that those words are important, and are where you want the page to rank for. If its not highlighted then its not in the tag, consider adding it. The web page analyzer will also tell you how many links are pointed to the page and how many external links go out from the page also if they are no follow. On older pages it will show you your Google position and link popularity and lots more. Once you use the web page analyzer use the displayed results to make sure your page is optimized for the keywords and keyword density of your choice, if its not, then add more keyword phrases to the tags and content of the page to improve your SEO. This SEO Tool used correctly will help you rank your site. The web page analyzer also has a article analyzer that you can use to check content before you put it on your site. Use the article analyzer editor, copy and paste your content in it or work in the editor once done push the refresh button and your content will be analyzed. The results will tell you the amount of words, unique words, average words per sentence, display a tag cloud of keywords, keyword density, single keyword phrase, two word keyword phrase and three word keyword phrase. This will help you analyzer your content before its even on your site.